Singapore is a small country with 3 million people, but they might have the highest number of CFA per capita. Each year, about 250 professionals become new CFAs. They work in big financial power houses as portfolio managers and research analysts, as well as CIOs, risk managers, private bankers, accountants, auditors and other professions within the finance and investment community. Do you want to become a CFA in Singapore and join this highly valued network of professionals? Let’s take a lot at these statistics and learn how to start the process. 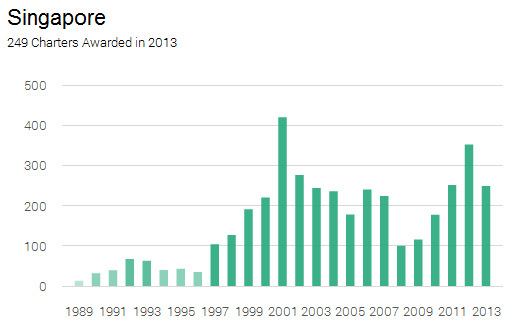 As a financial hub in Asia, Singapore enjoyed a strong pick up in the number of CFAs since 1997. It has since stabilized with some fluctuation correlating with investment cycle. 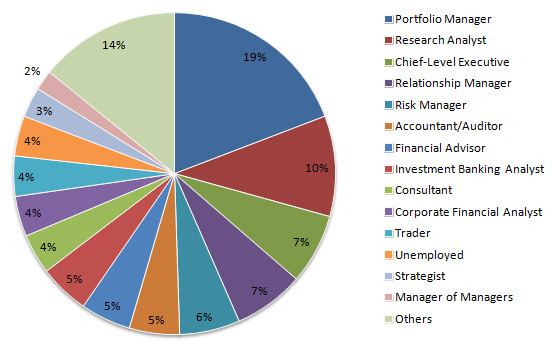 Portfolio management and equity research remain the top professions for CFA in this country. Singapore has been developing it private wealth management industry for the past few years. It is therefore understandable that relationship manager with CFA has a bigger than average representation in Singapore. The process to become a CFA in Singapore is the same as that in any other country. 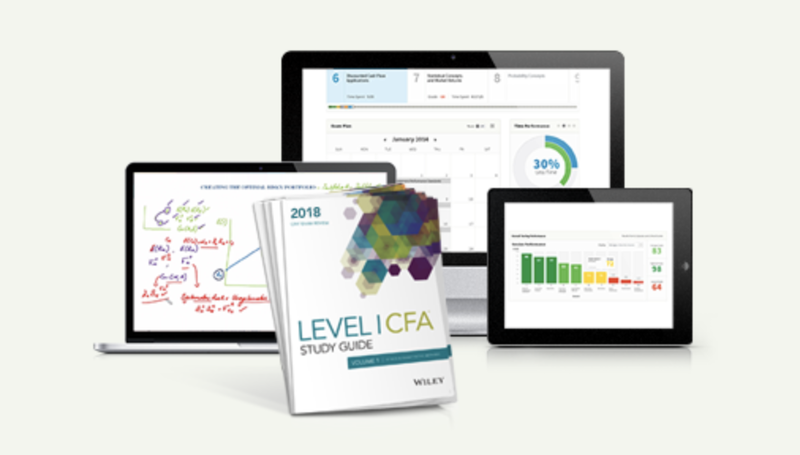 You can first join the CFA program and take the first Level 1 exam in either June or December. After passing the exam, you need to go through two more exams (Level 2 and Level 3), together with 4 years of relevant experience to obtain the charter. While this is tough work, it is easy to get eligible for the exam. All you need is either bachelor degree or 4 years of experience. Your degree can be in any discipline and you can also work in any field. 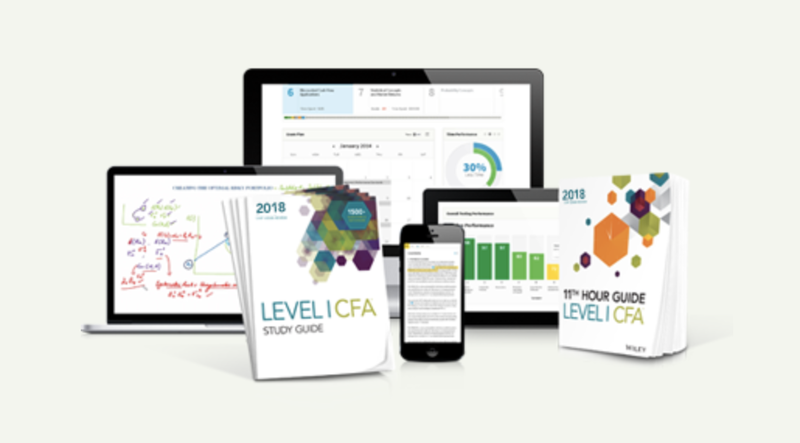 If your background is not related to finance and investment, you may need to spend more than the recommended 250 hours to prepare for each level of the exam. In terms of CFA exam location, CFA Institute makes it very flexible by offering exam sites in all major cities and metropolitan area. You can take the CFA exam in Singapore or any parts of the world.